When a person remove his operating system and install it again, he loses all programs that were installed previously. Sometimes we have many necessary web addresses, bookmarks saved in web browsers. And these information also lost. But Firefox users should not lose anything. Firefox provides a way to backup all data stored on it. 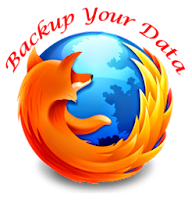 In this post I am gonna show you the way to backup your Firefox data. First go to My Computer. Now look for Mozilla Firefox install location. And copy the whole folder in your desired location. When you re install windows on your PC then go to that folder again that you copied earlier. And find a file named firefox.exe. Double click in this file and your Firefox will start. Note: In this way you can backup almost all browsers. 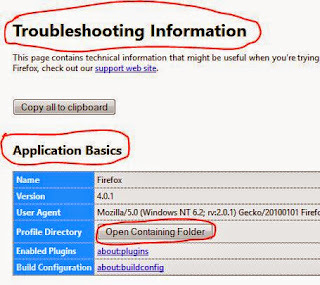 Now hit on the button named Open Containing Folder next to the Profile Directory located under Application Basics Category. A folder containing your important data (Bookmarks, Cookies etc.) will appear on the screen. You should copy all the items of this folder to a safe folder. When you install Firefox next time, you can copy the files from this folder and paste them into your new Firefox by the same way. This will take your Firefox back to its previous stage. Stay with Marks PC Solution to get more interesting IT topic! A very useful topic. I prefer the second method. Because the first one may create some registry issue. You can follow any of the two methods. The registry issue is not a very critical problem.